Booking a holiday and counting down the days until you can be in a place somewhere new can be one of the best feelings about travelling. One important aspect in the lead up to this point is to keep informed of the travel options and new information coming out each day about destinations, hotels, flights and more. By making sure you stay informed you can remain one step infront of the pack and can be rest assured that your holiday will only be filled with good times. A great way to stay informed is by reading plenty of reviews. Reviews give you a great perspective on an experience as you can base similar themes in multiple reviews to get an overall feel for if the hotel, flight or destination is for you. One good place to start is with your airline! If your not sure who to fly with a great review site is Find an Airline. Here you can look through the many different airlines to compare customer satisfaction and even write comments of your own. 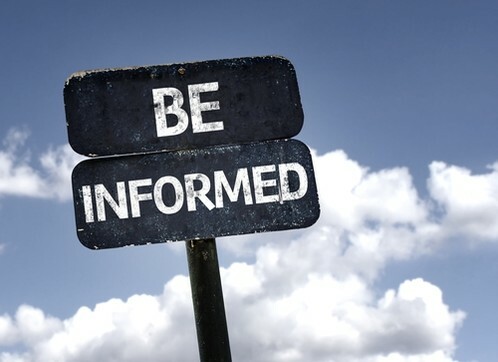 Keeping yourself up to date with information is a crucial aspect to travelling not only can it potentially save you money, time and stress it is also vital in keeping safe and happy while your away. If your wanting more advice or information for your next trip contact Josh on 1300 761 901. Keep your eyes here for more from Dani’s blog or visit her own site Traveller Envy.